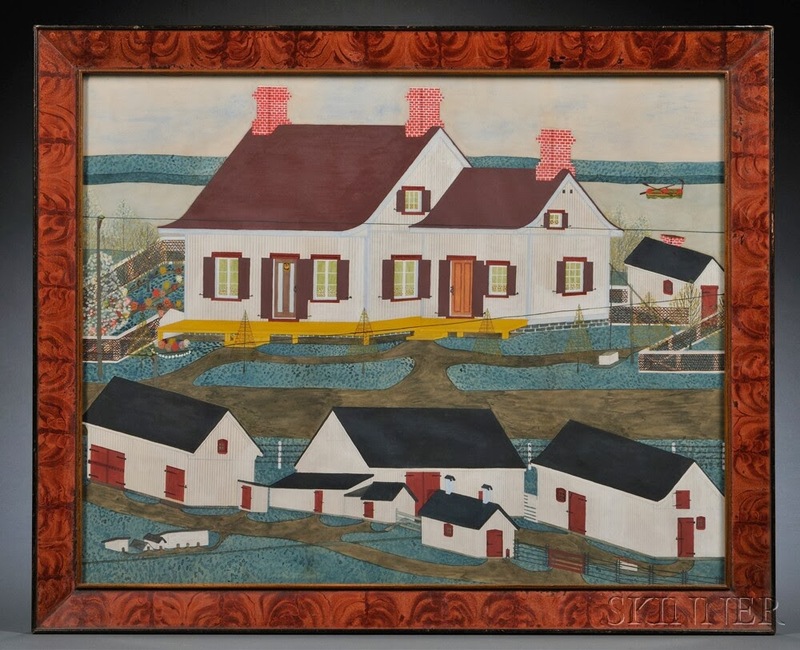 Two early 20th century folk art paintings by the same hand. This painting is one of a few folk art landscapes executed by an unidentified artist who worked in the Lake Champlain areas of Vermont, New York State, and Quebec. One work is illustrated on the dust jacket of Folk Painters of America, by Robert Bishop (E.P. Dutton, New York). Another work is held in the Abby Aldrich Rockefeller Folk Art Museum collection. Provenance: Walters-Benisek, purchased in 1996. 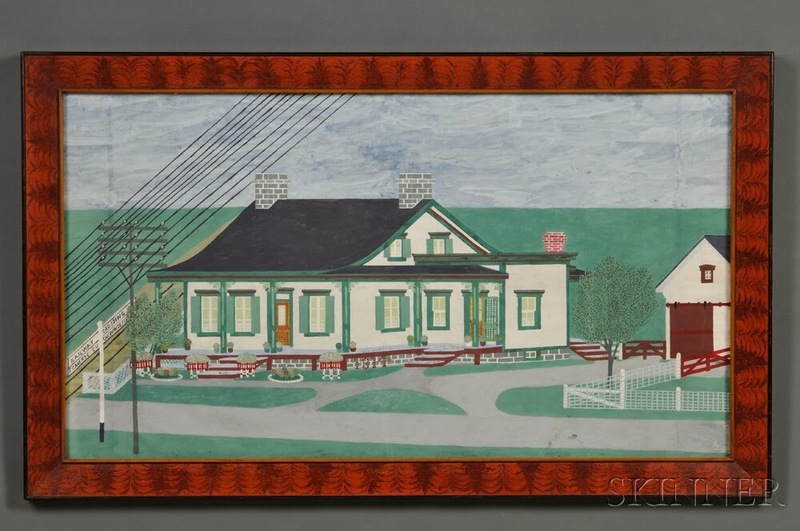 The Vermont Farm Landscape sold for $35,000 (w/o premium) and the House by the Railroad Tracks went unsold with an estimate of $8,000 - $12,000 at Skinner.